There have been some big developments by Google in featured snippets and the so-called ‘position zero’ over the course of 2017 and 2018. But why do they matter, and how should they be shaping your search strategy? Firstly, let’s start with the “what is a featured snippet?” question. 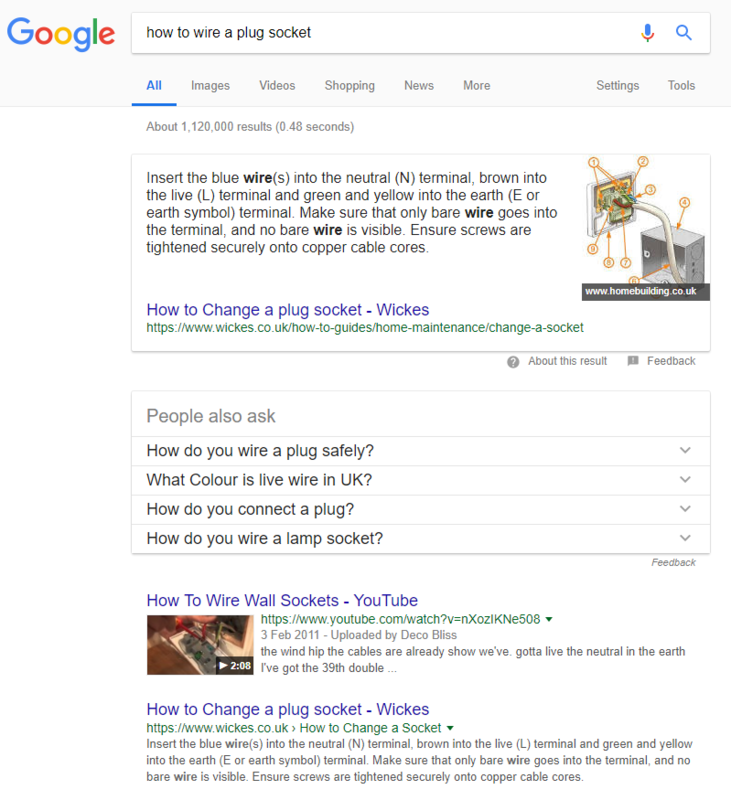 Why is Google ramping up its development of featured snippets? Featured snippets aren’t a particularly new development. In fact, they have been around in various guises for a number of years. What is different is the role that these featured snippets are playing in the search results pages, providing users with much more detailed information, and presenting that information in a much wider range of formats and mediums. The first reason is user experience. Google’s raison d’être is to help people find the most relevant and accurate information as quickly as possible. One way to do that is to reduce the number of clicks that lie between the user and the information that they want. By presenting the answer directly within the search result, Google is reducing the number of clicks and therefore the time it takes for the user reach the most relevant content and crucially for Google, it is keeping the user on their own properties – not spring boarding them off to third party. The second reason is the emergence of voice search. Featured snippets are the big driving force behind the results provided by Google’s voice-based devices (such as Google Home and Google Assistant), of which sales are growing and growing. Forecasts suggest that the number of UK homes with a voice enabled smart device will increase by 40% by the end of 2018. The more Google can develop these featured snippets, the more relevant its voice search results can theoretically become. Subscribers and viewers of our video series Digital Minute will know that there have been a number of developments in the area of featured snippets. Between January and March 2018, new developments to featured snippets were the subject of three Digital Minute episodes out of six. So what are the recent highlights? Back in December 2017, search snippets developed quite significantly. We saw search snippets becoming more dynamic, providing more content, rating what a user community may have considered to be the ‘best answer’ and containing carousels of potential answers and subjects that were relevant to the query. At the start of 2018, Google’s new Public Liaison for Search, Danny Sullivan, used his first blog post to “reintroduce” the concept of featured snippets. The post started by off providing an overview of what featured snippets are, before introducing some insight into the way in which the feature has been developed and what improvements were being introduced. 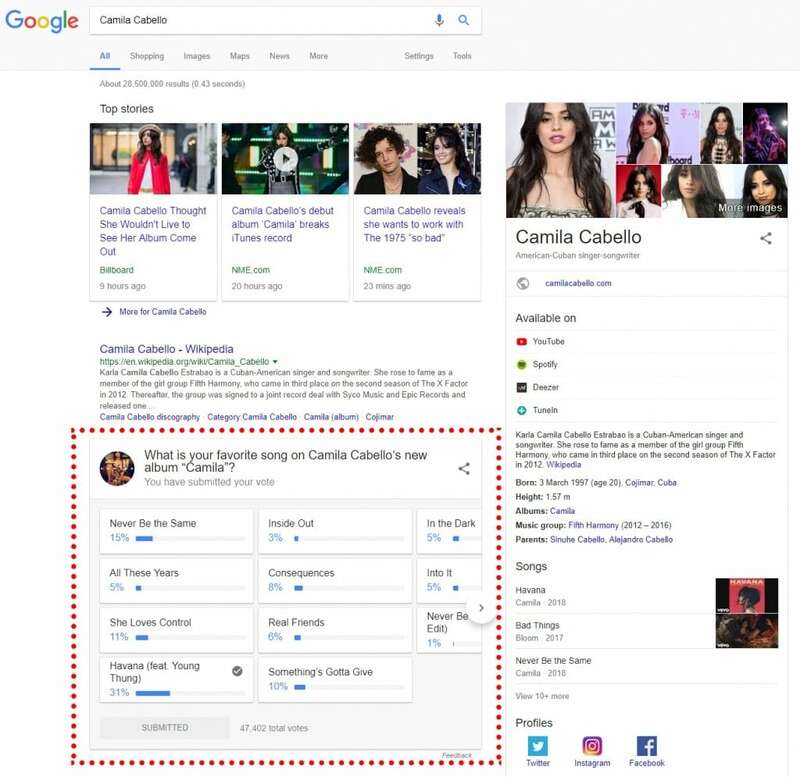 These new features included the ability to let the user refine their featured snippet result when there is an element of ambiguity to their search query. For example, if a user searched for information about “airline baggage allowances”, this would clearly depend on factors such as the airline, the destination and the type of ticket bought, and the snippet would provide options to reflect that. The other development mentioned by Sullivan was that search results pages would display multiple featured snippets, where it was appropriate to do so. Also earlier this year, Stickyeyes’ SEO Leads Richard Hird and Jack Clark spotted some new developments in Google search results that again pointed to a greater focus on featured snippets. These included user polls being embedded into Google search results, as well as featured snippets pulling in ‘top rated’ answers from respected internet forums, Reddit communities and social media groups that were considered to be “trusted sources” in their respective fields. It seems as if featured snippets are a constantly evolving concept, and the function has come on significantly since their introduction. But as search habits and trends change, particularly as voice grows and users expect their voice search experience to be just as slick as their desktop or mobile search experience. How does this affect my brand? Won’t this reduce my traffic? The move by Google to pull what is effectively third party content into the search results to keep users on Google, rather than sending them to the page of the third party that is actually providing the content, hasn’t been universally welcomed by some. Those people argue that they are essentially losing traffic that they have a right to and would ordinarily have got were it not for Google presenting the content itself. Google itself has largely played down those concerns, arguing that “search is not just about answering your questions — it’s also about discovery”. But it is true that there is a ‘bigger picture’ to consider. There are different studies into the click-through rates of featured snippets, but generally accepted estimates from Ahrefs put the figure at between 8% and 9%. That’s lower than the click-through rate of a typical position one listing, but a brand that ranks for both position one and a featured snippet can potentially increase their traffic from organic search. It’s unlikely that we will see many of these changes apply to product and commercial searches in the immediate future, but with more and more brands producing greater quantities of “advice” content, it is something that many brands may need to factor in to their strategies for 2018. And because these new Google features take so much screen real estate, it actually makes it more important for brands to be delivering that content through an answer box or Knowledge Panel snippet, and to ensure that they have content that is optimised for these new features. Firstly, look at where the opportunities are for your brand to build authority by obtaining rich snippet listings. Think about the customer journey that your audiences follow, the types of topic that they look for information on, and where they are likely to look for ideas and inspiration. This will, in most cases direct you towards informational keywords and keyword terms that, whilst not necessarily commercially focused, will form an important role in the process of product and brand discovery. Ensure that you have a content provision for each one of these potential queries. Another way to tackle this is to look at your existing keywords and the influence that voice search has had on making those queries much more conversational. Look at your keyword set, and consider how a voice user may approach that query, rather than a desktop user. Once you have this, it’s a case of marking up your content. Structured data markup essentially acts as a signpost for your content to search engines. It explains what the content relates to and how it should be formatted. You are probably already using structured data markup from schema.org on your site, but make sure that it’s up to date in order to help search engines accurately parse your content and understand its context.